Buying Fire Alarms for Commercial Buildings – Straight Forward? Do you need a fire alarm? Fire Alarms – So you have a commercial building, you need a fire alarm … How difficult can it be? Maybe a little more difficult than you thought. For instance, do you even need a fire alarm? Many business owners start in the wrong place … like with a fire alarm installer! 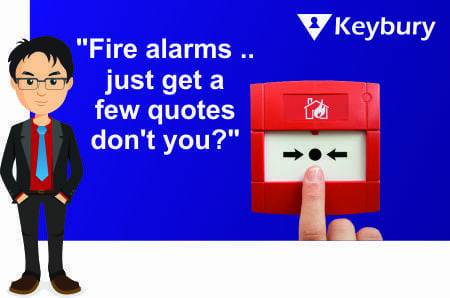 There are several decisions to be made before getting quotes form a fire alarm company – Do I require a fire alarm? What category should the system be? Does my insurance company have specific requirements? All these questions should be handled with a fire-risk-assessment. Any UK company with 5 employees or more must have a current fire-risk-assessment. But surely a fire alarm company is competent enough to suggest a grade of system? Approved fire alarm installers (e.g. BAFE approved) are very competent in design but it’s not their place to decide the category … confusing ay? The fire-risk-assessment should steer you towards a grade together with other stakeholders such as your own requirements and that of your insurers. A competent designer may suggest a life-protection system only to find out later your insurer insists upon a property-protection system. It seems counterintuitive but if you want a fire alarm don’t start with a fire alarm designer! 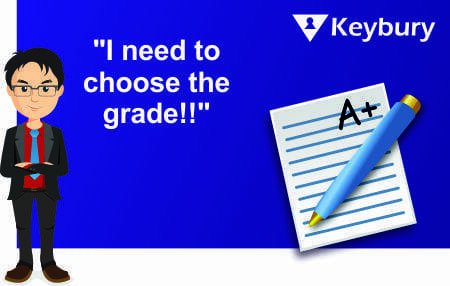 So you’ve had a risk assessment, you’ve spoke to your insurers, you’ve considered which areas are particularly important to you and have decided upon a grade … Now what? Now you need to approach a ‘competent’ installer. Who might that be? Many people approach an electrician, which may be okay but Fire Safety legislation says you should be able to prove due-diligence in your choice. What on earth does that mean? Well luckily home office advice tells us the easiest way to prove due-diligence with fire alarms is with third-party certification (e.g. BAFE approved). So if the electrical company gets it wrong what’s the big deal that’s their problem right? Wrong .. it’s yours. 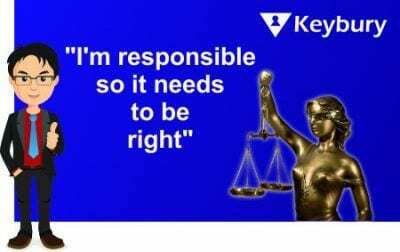 The Fire Safety Order (RRO) states that ultimately the buck stops with ‘The Responsible Person’. If you’re not sure who that is you could substitute the phrase with boss, owner, M.D. Do any of those titles fit? Recent disasters have highlighted what cutting corners can do and will result in even more stringent changes to legislation this year. If you want a fire-risk-assessment or a free review of your fire alarm contact us now.